We all have to start somewhere on our bellydance journey and that somewhere is a beginner class. It’s heartening to think that even great bellydancers were beginners once. But, let’s face it, none of us want to be a beginner for longer than we have to! The moves feel awkward and we have that “beginner look” which marks us out as an inexperienced dancer. Firstly, before we dive into this week’s tutorial, I want to say that this awkward feeling is completely normal! Secondly, it takes time, patience and regular tuition to master bellydance. However, there are a few tell-tale “beginner” signs that, I believe, can be kicked to the kerb in a cinch. Here is the first in my short series of “how to stop looking like a beginner” tutorials. In each snappy class I’ll home in on a certain dance element or body part. This time I’ll give you my 3 tips in relation to one culprit which will instantly help you blossom into your new dance persona! Now you’ve taken a look at today’s class, I’d love to know what you thought! Was it helpful? 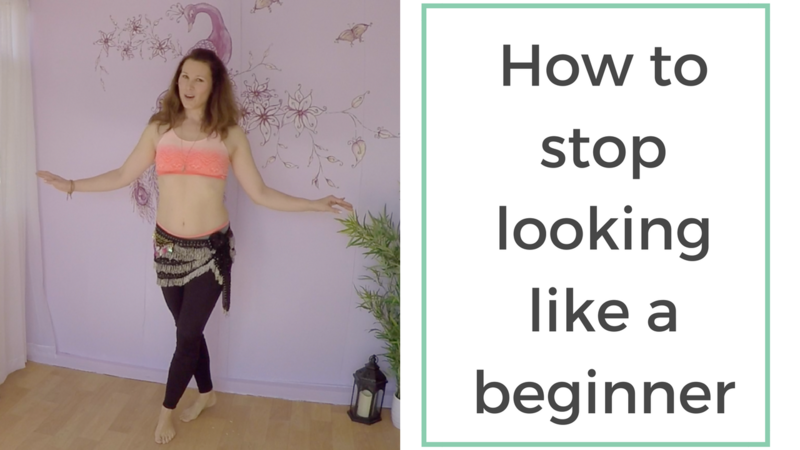 Do you have any tips to add that helped you shed your beginner bellydance identity? Be sure to comment under the youtube video. Along our bellydance journey there are several landmark skills that mark our arrival into the next phase. One of the most challenging of these is, without doubt, feeling confident about improvising or choreographing your own dance. So here at SMBA we’ll be offering a one off 6 week course focusing on advancing these more nuanced bellydance skills. Don’t be scared, you’ll be taken through my specially developed exercises step by step, you won’t have to figure it all out on your own. We’ll also expand your knowledge of bellydance music with an overall course theme of 10 Songs Every Bellydancer Should Know. Go here to book your place, don’t take too long as we only have a few places left and we start next week!